With This New Ink Set, 100% Carbon Pigment (Matte Paper Only) Black And White Printing Becomes Possible On Virtually All Epson Printers. Eboni-6 Will Appeal To Those Who Want Very Smooth And Stable Fine Art Prints. While The Older And Newer Epson Large Format Printers Were The Primary Targets (including The 3800, 3880, 4000, 4800, 4880, 7500, 7600, 7800, 7880, 9800, 9880 And Similar Printers), Many Epson Desktop Printers Like The 1400/1430 Can Use This Approach To Achieve Pure Carbon Pigment Printing. 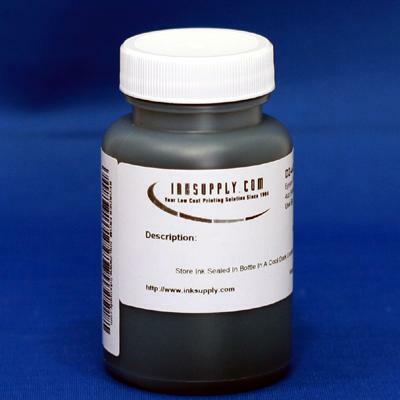 V1.1 Update - We Recently Were Forced To Make A Change To The Formulation Of Our Eboni Ink Due To A Supplier Change To One Of The Components Used In The Eboni Formula. While The V1.1 Is Still A 100% Carbon Pigment, It Has A Slightly Higher Optical Density And A Slightly Warmer Tone. This May Require Updates To Any Curves Or Workflows Used By Customers Using Our First Generation Eboni. We Apologize For Any Inconvenience That This Causes, But We Do Not Expect To Have To Make Any Further Changes For Many Years.